A Self-Directed 401(K) is a variant of the popular employer-sponsored defined contribution retirement plan most of us are familiar with. The difference is this: Where most off-the-shelf 401(K) products offered by investment companies restrict participants to a limited menu of approved investments, a Self-Directed 401(K) is set up with a custodian or administrator that allows the plan participant to invest in anything they like, except for a few types of assets that have been prohibited from 401(K)s by Congress. With a Self-Directed 401(K), then, you can choose any mutual fund on the market, or any stock, bond or other publicly-traded security anyone will sell to you. You can also choose non-publicly-traded securities (private placements), private debt instruments and mortgage lending, tax liens and certificates, most forms of gold, silver, platinum and palladium coins and bullion, direct ownership of real estate, venture capital, partnerships, privately-held corporations (though not S-corporations), LLCs, farms and ranches, equipment leasing and financing, forex, oil and gas projects and much more. 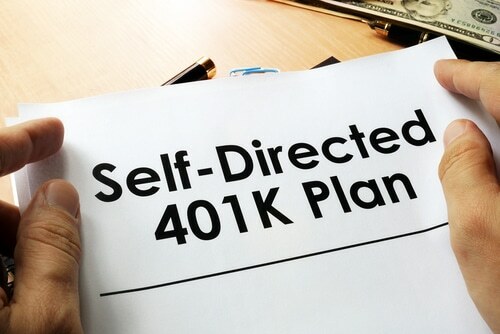 In most instances, a Self-Directed 401(K) is a type of Self-Directed Solo 401(K), a special variant of the 401(K) developed for small-business owners with just one full-time employee, or a married couple acting as the only full-time employees, or for self-employed individuals. Your descendants or those of your spouse. Your ascendants (parents or grandparents) or those of your spouse. Any professional who advises you on your 401(K) in a fiduciary capacity. Any entities in which any of these individuals own a controlling interest. You also cannot use property or other assets within your Self-Directed 401(K) to benefit yourself or any other disqualified individual or entity. For example, if you own a rental property on the beach within your Self-Directed 401(K), you cannot stay in it over the weekend, nor can you pay yourself a salary from within the 401(K) for managing it, nor can you hire your son-in-law’s property management company that he owns more than 50 percent in to manage the property on your 401(K)s behalf. To open a Self-Directed 401(K), contact American IRA, LLC today and fund an account. You can fund it from new contributions, profit sharing contributions from your employer (which is you, of course, if you are self-employed! ), or transferred funds from other 401(K)s, Traditional IRAs, Self-Directed SEP IRAs or Self-Directed SIMPLE IRAs. Note that you cannot roll Roth IRA money into a Self-Directed 401(K) plan or any other 401(K) plan. However, you can establish a Self-Directed Roth 401(K) account, create a Self-Directed Roth IRA or both. This allows you to choose to forego a current-year deduction on contributions, but instead choose to allow the growth to occur tax-free for as long as it is in the account, and income to come out generally tax-free as well in retirement (as long as the assets remain in the Roth 401(K) for at least five years. 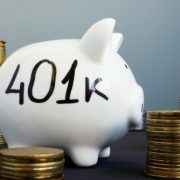 401(K)s potentially allow small business owners and self-employed individuals to set aside a much larger amount of money on a tax-advantaged basis than you can with a Self-Directed IRA alone: As an employee, you can contribute up to $18,500 for the year (those ages 50 and over can contribute an extra $6,000, for a total potential salary deferral contribution of $24,500. Employers can contribute up to $36,500 from matching and profit-sharing contributions for the year, for a total combined potential contribution of up to $55,000 for the year. Choosing a Self-Directed Solo 401(K) may be a good way to help maximize tax-advantaged retirement contributions for small business owners who don’t have any full-time employees other than themselves and a spouse. If you have employees, or plan to have employees, you may want to consider a Self-Directed SEP IRA, though at present, Self-Directed SEP IRAs do not have a Roth option. Have you heard about the Self-directed solo 401k?